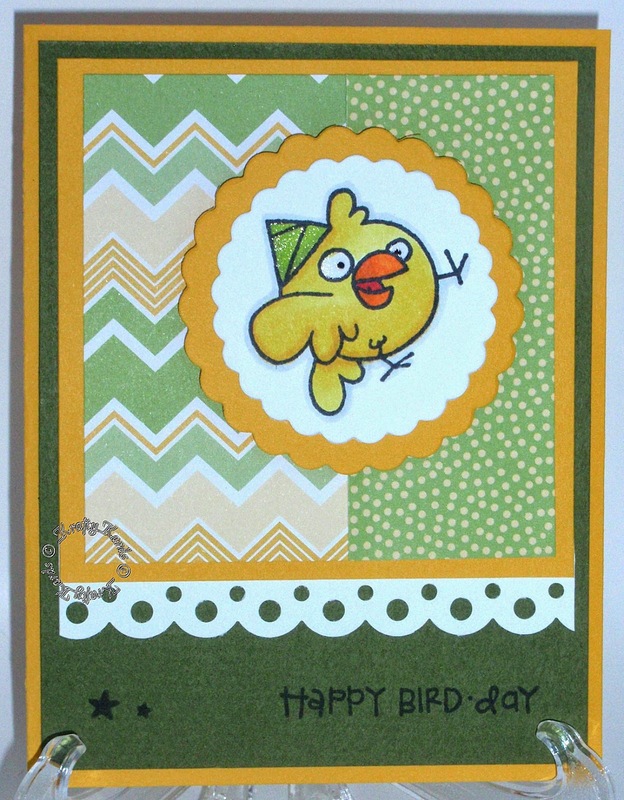 Krafty Kards' Kreation: Bark-Day, B-earth Day, Bird-Day...Birthday! I got a bit excited when I finally received some Paper Smooches stamps. and could not wait to use them. I had a great time making all of the following cards with them. 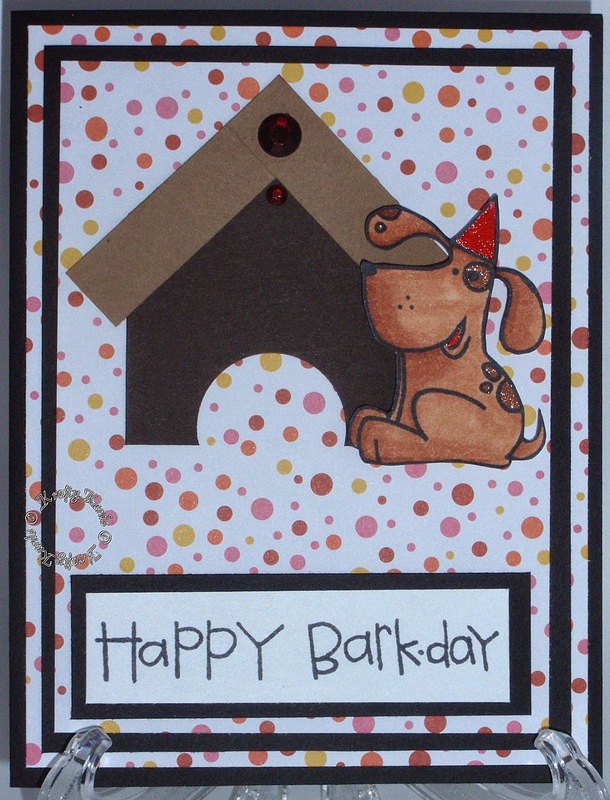 I made a little doghouse for the background, thought that was a cute touch. 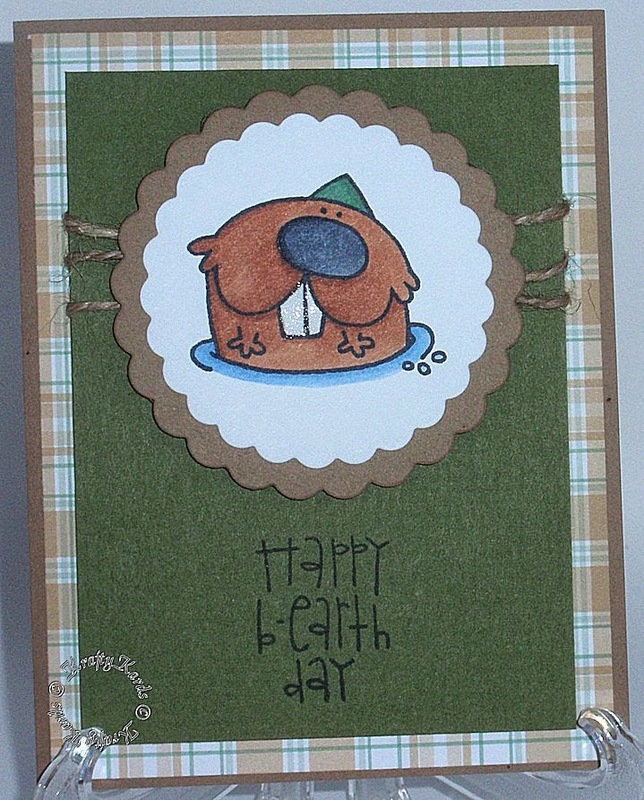 I thought the beaver was adorable and had to put glitter on his teeth! Hemp cord is wrapped around making it a bit of a masculine card. Decided to a bit of paper piecing on the background of this one. 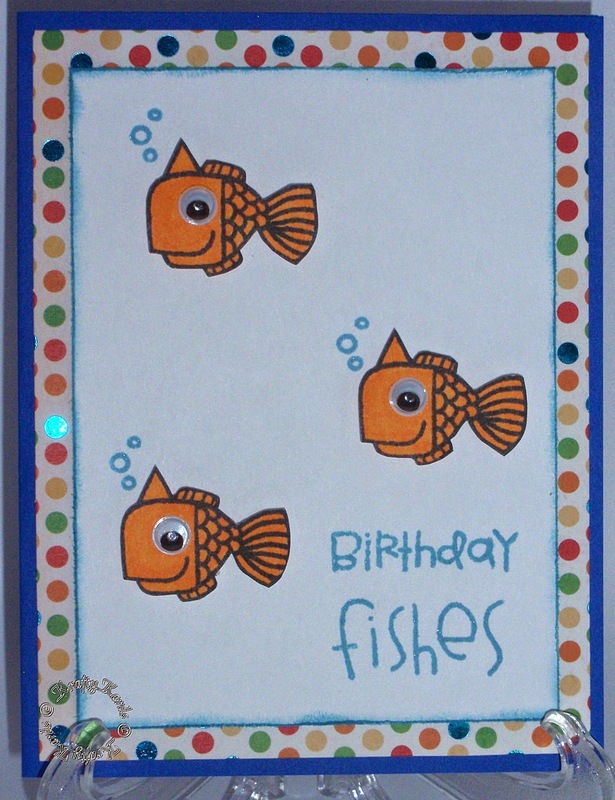 I distressed the edges of the paper and gave the fish googly eyes. so be prepared to see some more cards soon. but this year is getting hard. Are you all getting ready for the Holidays now? the holidays will be upon us. So for July 4th, Independence Day, I purchased a Sally Hansen Color Frenzy glitter polish of red, white and blue. over the white nails...here they are. How did you do your nails for the holidays? Would love for you to share. i love your cards!! they are always so cute!